I'm here for Choir only, and my voice is my instrument! None. What am I, Ed Sheeran? You will need an instrument, and your recorder from grade 3 doesn't count. If you have not already made arrangements to rent one privately through Long and McQuade or St. John's Music, or have purchased your own, please indicate your intent to rent one from the school. No, I have already made arrangements to obtain my own instrument. Please print, complete, and return at early registration at the end of August. The cost of renting an instrument from the CBE is $100 for the 2018/2019 school year. Payment can be made at early registration via cheque (payable to EP Scarlett High School) or online through CBE's on-line payment system. I will pay the $100 rental fee by cheque or cash at early registration. I will pay the $100 rental fee on-line through My CBE Account. To answer your unspoken question, heck yes we need volunteers! Many of them, and frequently too. Areas where some extra hands are appreciated: assisting with uniforms and fundraisers, chaperoning field trips (both within Calgary and out of town), photocopying, filing, music librarian, EPSMPA representative, and more that we just can't think of right now. I agree to be e-mailed with Music Program volunteer needs. I'm sorry, I am a terrific person and would like to help but I've got commitments, man! Please specify to which e-mail address volunteer requests should be sent. If adding more than one address, please separate the addresses with a semi-colon (;). Not sure if you have CBE volunteer clearance, or if your existing clearance is still valid? Check out our handy-dandy volunteer guide found here. The Handbook contains all of the information for students and parents pertaining to the EP Scarlett Music Program, including the schedule of events for the upcoming year, information on volunteering, fees, fundraising, and more. The handbook is found here. I confirm that I have read (or have at least skimmed) the EP Scarlett Music Program Handbook. I have not read the Handbook but it's on my list of things to do, I swear. Major concert uniform pieces are loaned to students by EPSMPA and are mandatory for bands and choir non-school performances. • Uniform fittings will be done at early registration. • Uniforms are provided upon payment of the music resource fee. A post-dated (June 1, 2019) uniform deposit cheque in the amount of $250.00 is required at the beginning of the school term to cover repairs and missing pieces. Deposit cheques are returned when the correct uniform items are all returned in good condition at the end of the school year. I haven't read the uniform policy because I don't mind paying an extra $250 for uniform repairs or replacement. 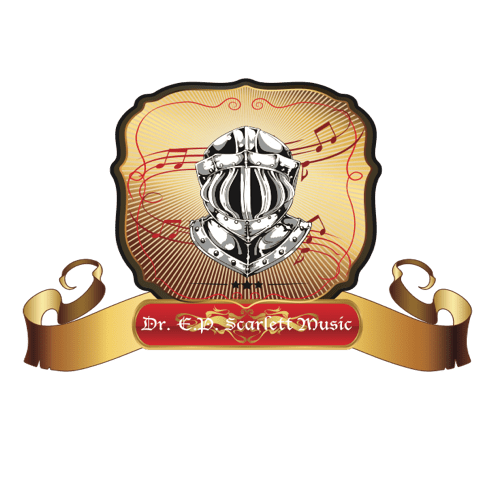 EP Scarlett's Music Program updates are primarily sent out through the blog. Subscribing to the blog ensures you will be automatically notified of all updates and information pertaining to the Music Program. At the bottom of the blog home page is an option to register your e-mail address; we strongly encourage you take advantage of this option. Occasionally the EPSMPA e-mails parents directly, in addition to blog posts. By providing your e-mail consent, you agree to be added to the EP Scarlett Music Parents Association (EPSMPA) e-mail list. Your contact information will be kept strictly confidential, and e-mails will pertain to Music Program activities only. 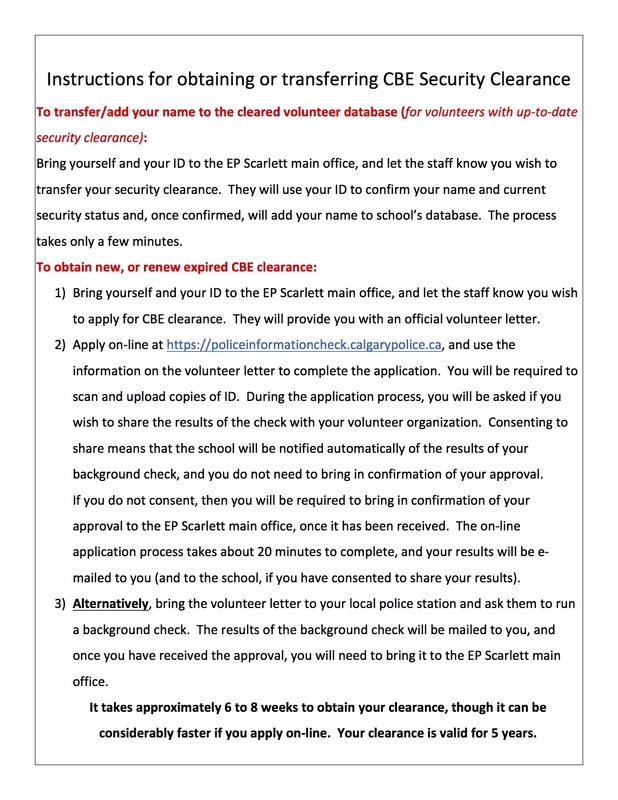 I agree to have EP Scarlett Music Program information e-mailed to the address(es) on this form. Do not e-mail me: my student is a trusted and reliable conduit of information and will tell me exactly what I need to know for every Music Program event. A music resource fee is assessed to all music (instrumental and choral) students. Fees are based on a complete school year but do not reflect the entire cost of the program. The resource fee is collected to reduce the number of cheques that parents would need to write throughout the year for various in-city activities and program needs such as: professional musicians, clinicians, guest conductors, concert venues, activity deposits, festival registrations, buses, uniform cleaning, and long term uniform replacement planning. Full details of the EPSMPA budget are presented annually at the EPSMPA AGM in September. The Resource fee does not cover the cost of any field trip outside of Calgary. Camps and tours will have their own fees and paperwork. The Resource fee does not include the instrument rental fee. 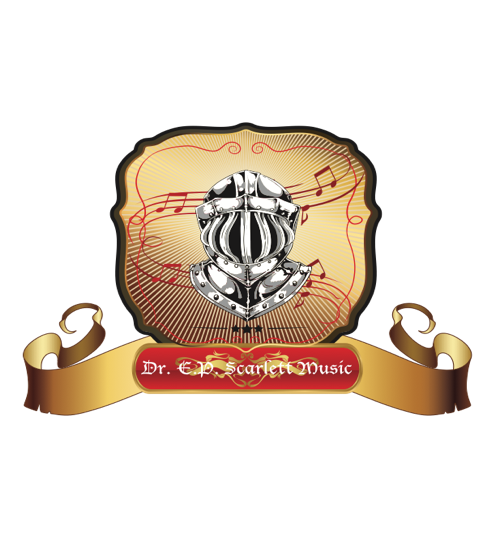 This is an optional fee for those who need to rent an instrument from Dr. E.P. Scarlett High School. Payment can be made via Paypal with a credit card without requiring a Paypal account. If you have a Paypal account, you can also remit payment with a debit card. If you choose this option, you will be directly automatically to the Paypal page upon submission of this registration form. If you do not wish to pay electronically, please bring cash or a cheque payable to EPSMPA with you to early registration in August. If paying by cash or cheque, please remit the full amount of $285. $135 due September 1st, and two $75 cheques postdated November 1st and January 1st. If you will not be at early registration on August 30th, or you have additional information for the Music Directors, please let us know below. Please print this page for your reference on what to bring to the August 30th, 2018 early registration (9 am until noon).